Globally, lung cancer is the most common cancer and in 2008 there were an estimated 1.6 million new cases and 1.4 million deaths (almost 20% of all cancer deaths) caused by this disease. Five-year survival rates are also low (15-20%) compared to other common cancers. In the US, studies have shown that lung cancer-care costs (in 2006) were the third highest of all cancers, while indirect costs (2005) were higher than for any other cancer. Patient needs and the high burden of lung cancer are driving the development of new therapies. While improvements have been seen in diagnosis and treatments (surgery, radiotherapy, chemotherapy and targeted medicine), new therapies that build on the capabilities of existing strategies, are urgently required. 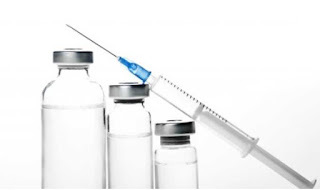 Today, advances continue to be made in treatments for lung cancer vaccine market; in chemotherapy, new medical combinations and targeted molecules. In particular, advances are being seen in the field of immunotherapy, in the development of new therapeutic antibodies and therapeutic vaccines. This report provides a comprehensive review of lung cancer immunotherapy. With a focus on therapeutic vaccines and antibodies, it reviews R&D and clinical developments in the treatment of lung cancer as the primary indication, as well as studies that are evaluating lung cancer alongside other cancers. It provides a comprehensive review of pipeline developments, therapeutic strategies and clinical findings, covering therapeutic vaccines and antibodies. Today, around 70 immunotherapies are being developed or evaluated for the treatment of lung cancer. This report reviews developments on 27 candidate therapeutic antibodies and 42 candidate vaccines for treating lung cancer, most of which are in clinical development. The lung cancer immunotherapy pipeline is showing substantial innovation and many new strategies are being evaluated. Today's pipeline of therapeutic antibodies are directed at 17 medical targets. On the vaccine front, 24 different antigen/multiple antigen targeting strategies are being investigated. For the purpose of this report, multiple antigen targeting vaccines have been treated as single targeting strategies. More than 90% of the immunotherapy candidates in development or being evaluated for treating lung cancer that are identified in this report, are in clinical development. This report gives an overview of the status and clinical findings of these candidate therapies. It also gives developmental and market-related perspectives in this rapidly developing field.